Sometimes things don't turn out as planned. I needed a quick meal, so I found a simple Italian chicken sausage soup in my Dump for Diabetics cookbook. My son and I both agreed that this soup didn't work as a soup. I felt that there was too much sausage, and he thought there was too much tomato. I said I thought it would make a good pasta sauce. So, I went back to the kitchen, boiled a pot of pasta, drained it, mixed it with the soup, topped it with a little Kraft parmesan and mozzarella blend, and it was delicious! Here's how you get it done, and it will be ready in under an hour. This recipe should serve four. It's easy to multiply the recipe if you're making it for lots of people. Add a couple of tablespoons of cooking oil to a saucepot on medium-high heat. 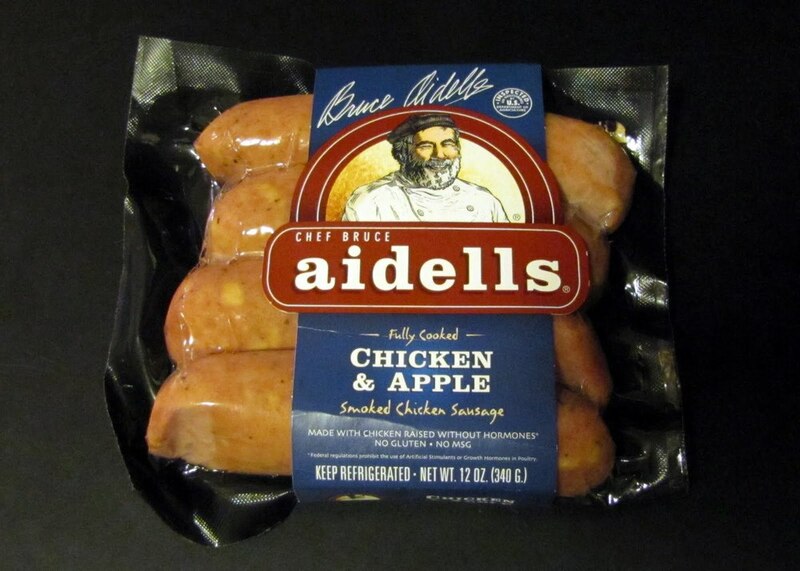 Slice up four Aidell's chicken and apple sausage links and place in the pot. Dice one small to medium size onion and place in the pot with the sausage. If the sausage is browning too quickly, lower the heat to medium. Pour in a 15 ounce can of diced tomatoes and jalapenos. (That's what I had on hand, and it turned out to be the right choice.) Pour in an 8 ounce can of minced clams--no need to drain. Lower heat and simmer for 15-20 minutes. When sauce has finished cooking, transfer it to a heat-safe bowl. Add water and salt to the saucepot. Boil the water. Pour in a box of pasta. I used Ronzoni ancient grains penne. Cook pasta according to package directions. Drain the pasta. Do not run cold water over it. Return pasta to saucepot. Pour sauce over pasta. Stir thoroughly. Serve with shredded cheese of your choice. Kraft's Perfect Pairings for Pizza works nicely. The only thing that could have made this meal a little nicer yet would have been a salad and some garlic bread. I didn't have either on hand. My friend Sara Lee made me a nice cherry pie, which I baked for dessert. Kuner is a Colorado-based company which features high-quality, low-cost foods. 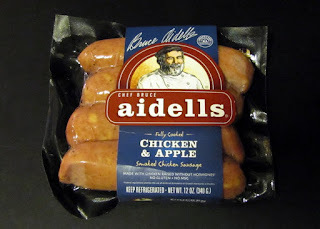 I am pleased to recommend their products. Amazon does sell clams, but I could only find the whole ones. The minced ones are easier to deal with. Unless you really like mincing clams, I'd recommend picking up a can at the grocery store. No, I don't get a commission for telling you this, but the selling point of this blog is making readers' lives easier. I wouldn't be doing that if I gave you a link for whole clams in a recipe that's meant to be ready to serve within the hour. If you and your family/guests/people at the potluck like this recipe as much as I do, you can buy me a cup of coffee via the cool green link in my sidebar. Sadly, it'll have to be decaf. My heart likes to race a little too much when I drink the real thing.